Having moved an SSIS package to a new server it was failing to run with the errors below. %Script Task Name%:Error: There were errors during task validation. %Script Task Name%:Error: The Script Task is corrupted. The resolution is to change the SSIS project TargetServerVersion property. Right-click on the project an choose Properties. On the screen that loads change the TargetServerVersion value to the version of SQL Server you’re using. Save and build your project, then re-deploy. This entry was posted in SQL Server on January 14, 2019 by richardstk. A significant part of sql server process memory has been paged out. This may result in a performance degradation. Duration: 0 seconds. Working set (KB): 128084, committed (KB): 423936, memory utilization: 30%. This is on a Windows Server 2012 R2 VM with SQL Server 2008 R2, 8GB RAM and a maximum server memory configuration of 6144MB. 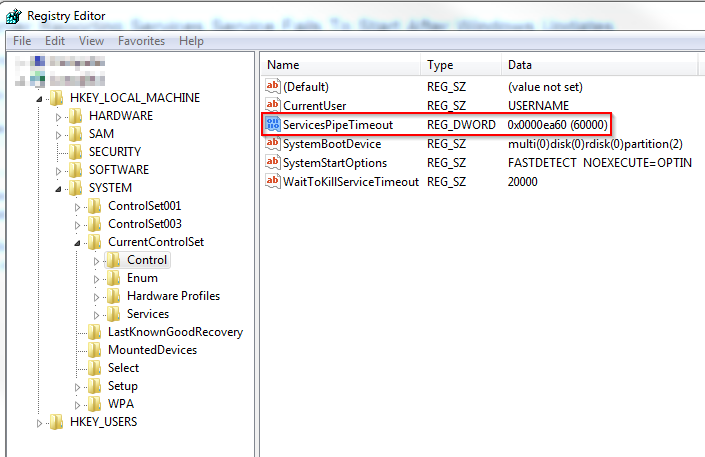 Lock pages in memory is enabled for the SQL Server service account. There are many reports of this error from the Windows Server 2003 x64 and SQL Server 2005 era, but little information from more recent times. The message is saying that a large amount of the memory allocated to the SQL Server process, sqlservr.exe, has been moved from RAM to the page file as the process’ working set has been trimmed. In the case of the message above the SQL Server process has a working set of 128084KB of memory allocated in RAM and a total memory allocation which could be in RAM or on disk of 423936KB. The memory utilisation value of 30% is showing that ~30% of the SQL Server process’ total memory allocation is in RAM, which is the working set value. This warning message is raised when the memory allocation in RAM (working set) is 50% or below the committed memory value. In the case of this server the working set and committed values are low compared to the maximum server memory setting and Task Manager was showing ~2.5GB of the server’s 8GB RAM in use. Following research I found this MSDN blog article which discusses working set trim warning messages early in the SQL Server startup phase, or shortly after the server is ready for user connections. Based on this article it appears that in my case I can ignore the warning as the message values are low compared to the server max memory setting and there is little activity on the server. This entry was posted in SQL Server and tagged SQL Server on January 3, 2019 by richardstk. Looking on the web indicated that SQL Server Compact 3.5 could be causing the issue. Programs and Features showed SQL Server Compact 3.5 was installed, but I couldn’t uninstall, or repair the installation. I downloaded the installation files here http://www.microsoft.com/en-us/download/details.aspx?id=5783 The installation instructions state that on a 64-bit computer you have to install the 32-bit and 64-bit versions of the files. Having installed both SSCERuntime_x86-ENU.msi and SSCERuntime_x64-ENU.msi I successfully re-ran the SQL Server 2008 R2 management tools installation. Both the 64-bit and 32-bit versions of SQL Server Compact are now listed in Programs and Features. I’ve found that in some cases the Microsoft SQL Server Compact 3.5 SP2 x86 (SSCERuntime_x86-ENU.msi) installation can fail. In this case, open Registry Editor, navigate to HKEY_CLASSES_ROOT\Installer and search for the key relating to Microsoft SQL Server Compact 3.5 SP2 x86. Backup the key and delete it from the registry. The installation should now complete successfully. This entry was posted in SQL Server and tagged Microsoft, Microsoft SQL Server, SQL Server Compact 3.5 on August 21, 2012 by richardstk.